Courtesy Jen Sygit will perform tonight in Bryan, Ohio. WEDNESDAY – Hubie Ashcraft – 7 p.m.; Trolley Steaks and Seafood, 2898 E. Dupont Road; no cover; 490-4322. THURSDAY – Hubie and Missy – 6 p.m.; Auburn City Steakhouse, 203 Main St., Auburn; no cover; 260-333-7337. SATURDAY – “Beethoven's 2nd Symphony,” Fort Wayne Philharmonic Chamber Orchestra – 7:30 p.m. Saturday; First Wayne Street United Methodist Church, 300 E. Wayne St.; 260-481-0777, Philharmonic box office or FWPhil.org. SUNDAY – Trumpet Studio Recital – 2:30 p.m.; Rhinehart Recital Hall, Purdue Fort Wayne, 2101 E. Coliseum Blvd. ; $7 adults, $6 seniors, $4 non-PFW students, free for PFW students; 481-6555 or www.pfw.edu/tickets. SUNDAY – Eleganza Baroque Ensemble Concert – 5 p.m.; Trinity Episcopal Church, 611 W. Berry St.; free. TUESDAY – Community Orchestra Concerto and Aria Concert – 7:30 p.m.; Auer Performance Hall, Purdue Fort Wayne, 2101 E. Coliseum Blvd. ; $7 adults, $6 seniors, $4 non-PFW students, free for PFW students; 481-6555 or www.pfw.edu/tickets. THURSDAY – Thomas Hooten, trumpet – 7:30 p.m.; Rhinehart Recital Hall, Purdue Fort Wayne, 2101 E. Coliseum Blvd. ; $7 adults, $6 seniors, $4 non-PFW students, free for PFW students; 481-6555 or www.pfw.edu/tickets. SATURDAY – Gregg Bender Band – 8 p.m.; American Legion Post 47, 601 Reed Road; no cover; 209-3960. TODAY – Collin Raye – 8 p.m.; Shipshewana Event Center, 760 S. Van Buren St., Shipshewana; tickets start at $19.95; www.riegsecker.com. TODAY – Mud Creek – 8 p.m.; Duesy's Sports Bar and Grille, 305 E. Washington Center Road; 483-5681. TODAY – The Hubie Ashcraft Band – 6 p.m.; Glendarin Hills Golf Club, 3333 Glendarin Way, Angola; $45; 260-665-5073. TODAY – Todd Harrold and Nick Bobay – 8 p.m.; Mad Anthony Brewing Co. 2002 Broadway; no cover; 426-2537. TODAY – Pop Evil – 8 p.m.; Clyde Theatre, 1808 Bluffton Road; $19 advance, $23 day of show; Clyde box office, 800-514-3849 and ClydeTheatre.com. TODAY – Chris Worth & Co. – 8 p.m.; American Legion Post 241, 7605 Bluffton Road; no cover; 747-7851. TODAY – DeeBees – 7 p.m.; The Venice, 2242 Goshen Road; 482-1618. TODAY – Juke Box Bliss – 8 p.m.; Deer Park Irish Pub, 1530 Leesburg Road; no cover; 432-8966. TODAY – Dan Smyth – 7 p.m.; teds market, 12628 Coldwater Road; 888-260-0351. 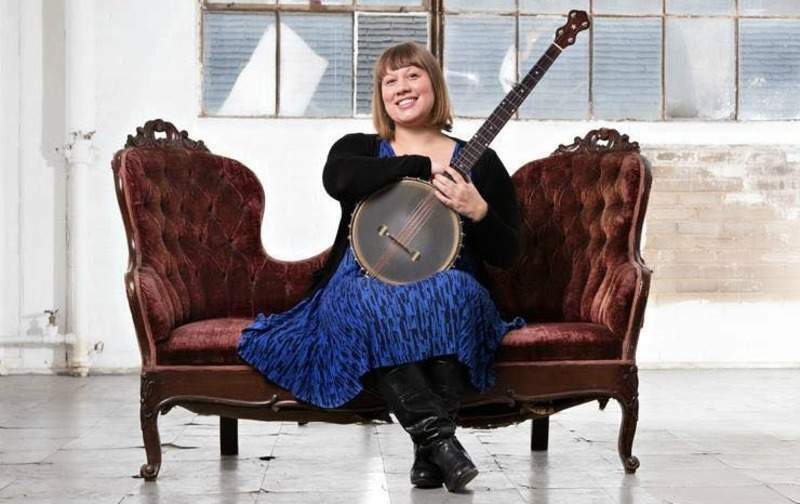 TODAY – Jen Sygit – 7 p.m.; Bryan Main Library, 107 E. High St., Bryan, Ohio; free. SATURDAY – Phil Wickham – 8 p.m.; Shipshewana Event Center, 760 S. Van Buren St., Shipshewana; tickets start at $14.95; www.riegsecker.com. SATURDAY – Take Two – 7 p.m.; Don Hall's Triangle Park, 3010 Trier Road; 482-4342. SATURDAY – Joe Justice – 6 p.m.; Auburn Elks, 311 E. 9th St., Auburn; no cover; 260-925-2110. SATURDAY – Chris Worth & Co. – 8 p.m.; Sylvan Cellars, 2725 E. Northport Road, Rome City; $5; 260-854-9463. SATURDAY – The Hubie Ryan Trio – 6 p.m.; American Legion Post 215, 100 Industrial Parkway, LaGrange; $35; 260-463-2443. SATURDAY – Music Therapy Client Recital – 2:30 p.m.; Rhinehart Recital Hall, Purdue Fort Wayne, 2101 E. Coliseum Blvd. ; free. MONDAY – Randy Spencer – 6:30 p.m.; Deer Park Irish Pub, 1530 Leesburg Road; no cover; 432-8966. TUESDAY – John Mellencamp – 8 p.m.; Embassy Theatre, 125 W. Jefferson Blvd. ; 800-745-3000 or www.ticketmaster.com. WEDNESDAY – Joe Justice – 4 p.m.; Arbor Glen, 5202 St. Joe Road; no cover; 492-2202. WEDNESDAY – Mike Lapp – 7 p.m.; 469 Sports and Spirits, 1322 Minnich Road, New Haven; no cover; 749-7207. THURSDAY – Candlebox – 8 p.m.; Clyde Theatre, 1808 Bluffton Road; $25 advance, $30 day of show; Clyde box office, 800-514-3849 and ClydeTheatre.com. Blues Brothers Revue: 7:30 p.m. Feb. 22; Ford Theater, Honeywell Center, 275 W. Market St., Wabash; tickets start at $19; 260-563-1102 or www.honeywellcenter.org. Whitey Morgan: 7:30 p.m. March 17; Clyde Theatre, 1808 Bluffton Road; Clyde box office, 800-514-3849 and ClydeTheatre.com. Willie Nelson: 8 p.m. April 2; Michiana Event Center, 455 E Farver St, Shipshewana; tickets start at $39.95; www.riegsecker.com. Hozier: 8 p.m. June 11; Clyde Theatre, 1808 Bluffton Road; $45; Clyde box office, 800-514-3849 and ClydeTheatre.com. Yacht Rock Review: 7 p.m. July 25; Sweetwater Performance Pavilion, 5501 U.S. 30 W.; tickets start at $22.50; Eventbrite.com. Slash featuring Myles Kennedy and the Conspirators: 7 p.m. Aug. 7; Sweetwater Performance Pavilion, 5501 U.S. 30 W.; $35; Eventbrite.com. Old Dominion: Feb. 16; Memorial Coliseum, 4000 Parnell Ave.; 482-9502 or www.ticketmaster.com. Down the Line 13: 7 p.m. Feb. 23; Chris Worth, The Snarks, Strange Waters, Fatima Washington and Jess Thrower; Embassy Theatre, 125 W. Jefferson Blvd. ; $15 general admission; 800-745-3000 or www.ticketmaster.com. “Candid Camera's 8 Decades of Smiles”: 3 p.m. Feb. 24; Niswonger Performing Arts Center, 10700 Ohio 118, Van Wert, Ohio; 419-238-6722 or NPACVW.org. Travis Tritt: 7:30 p.m. March 2; Niswonger Performing Arts Center, 10700 Ohio 118, Van Wert, Ohio; tickets start at $35; 419-238-6722 or NPACVW.org. Shinedown: March 7; Memorial Coliseum, 4000 Parnell Ave.; 482-9502 or www.ticketmaster.com. Jo Koy: 8 p.m. March 9; Embassy Theatre, 125 W. Jefferson Blvd. ; tickets start at $35; 800-745-3000 or www.ticketmaster.com. Blackberry Smoke: 7:30 p.m. March 19; Ford Theater, Honeywell Center, 275 W. Market St., Wabash; tickets start at $32; 260-563-1102 or www.honeywellcenter.org. Winter Jam Tour Spectacular 2019: 7 p.m. March 28; Memorial Coliseum, 4000 Parnell Ave.; $15 at door; JamTour.com. Howl at the Moon: 7:30 p.m. April 19; Ford Theater; Honeywell Center, 275 W. Market St., Wabash; tickets start at $20; 260-563-1102 or www.honeywellcenter.org. Blues Bash featuring Nellie Travis: April 27; C2G Music Hall, 323 W. Baker Street; $75; fundraiser for The League for the Blind & Disabled; 441-0551. “The Sound of Music”: 2 and 7:30 p.m. May 4; Niswonger Performing Arts Center, 10700 Ohio 118, Van Wert, Ohio; tickets start at $35; 419-238-6722 or NPACVW.org. Who's Bad – The Ultimate Michael Jackson Experience: 8 p.m. May 4; Clyde Theatre, 1808 Bluffton Road; $15 advance, $20 day of show; Clyde box office, 800-514-3849 and ClydeTheatre.com. ZoSo – The Ultimate Led Zeppelin Experience: 8 p.m. May 11; Clyde Theatre, 1808 Bluffton Road; $15 advance, $18 day of show; Clyde box office, 800-514-3849 and ClydeTheatre.com. Béla Fleck & the Flecktones: 7 p.m. June 29; Sweetwater Performance Pavilion, Sweetwater, 5501 U.S. Highway 30 W.; SweetwaterPavilion.com. Blue Oyster Cult: 8 p.m. July 12; T. Furth Center for Performing Arts, 1 University Ave., Angola; tickets start at $35; trine.edu/furth. Glenn Miller Orchestra: 7:30 p.m. Aug. 6; Embassy Theatre, 125 W. Jefferson Blvd. ; tickets start at $40; 800-745-3000 or www.ticketmaster.com. Trace Adkins: 8 p.m. Sept. 14; Shipshewana Event Center, 760 S. Van Buren St., Shipshewana; tickets start at $39.95; www.riegsecker.com. Three Dog Night: 8 p.m. Oct. 17; Clyde Theatre, 1808 Bluffton Road; Clyde box office, 800-514-3849 and ClydeTheatre.com. Kenny G: 8 p.m. Oct. 18; Blue Gate Theatre, 195 N. Van Buren St., Shipshewana; tickets start at $34.95; BlueGateTheatre.com or 1-888-447-4725.